I have been test driving mongodb with some serious projects. I have always had difficulty in creating users in any database. Mongodb was no surprise. Here is the working command for me. 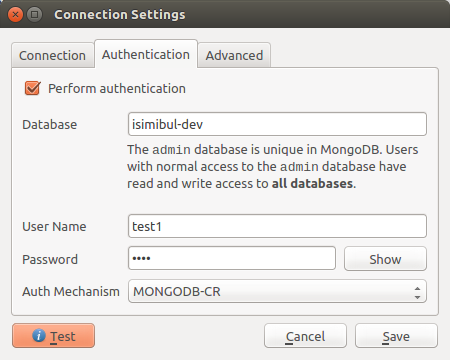 One side note: If you are having difficulties with connecting to the DB, you can change auth mechanism to MONGODB-CR, this is the old system used back in the days of v2.4; now SHA is used for auth, if you are using an updated version like v3, just use SHA as auth mechanism.